“The US asked Iran for help in the fight against terrorism. 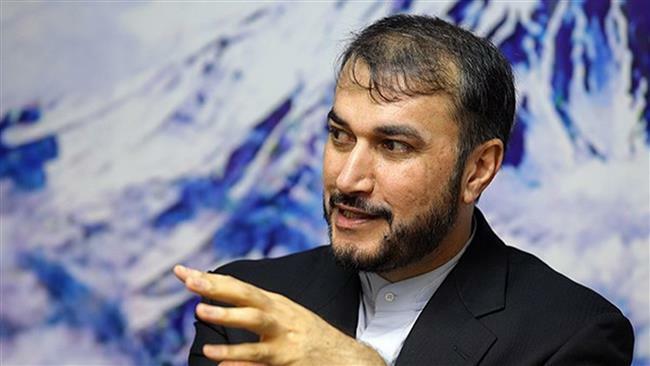 However, we believe the US lacks sincerity [in its anti-terror bid] as some of these terrorist groups are simultaneously supported by the US,” said Iran’s Deputy Foreign Minister for Arab and African Affairs Hossein Amir Abdollahian on Tuesday without mentioning the time of the request. The presence of foreign military troops in the region over the recent years has shown that having a military approach toward undeveloped countries not only fails to solve the issues of terrorism and instability, but may even exacerbate the problems, he added. Amir Abdollahian is currently in the Ethiopian capital city of Addis Ababa to attend an African Union summit. This is while Washington has been supporting the militants operating against the government in Syria since March 2011. Many ISIL terrorists have reportedly received training by the CIA in Jordan and Turkey. Saudi Arabia and Qatar have also been staunch supporters of militants fighting the Syrian government.